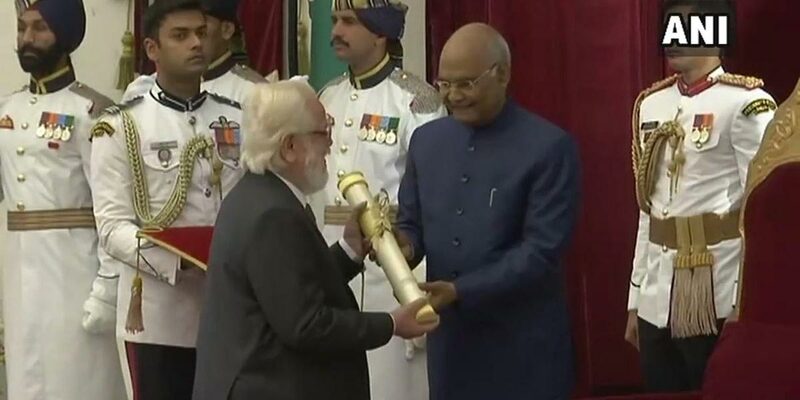 Nambi Narayanan, the former scientist of the Indian Indian Space Research Organisation (ISRO), has been conferred the Padma Bhushan, the third-highest civilian award in the Republic of India. The scientist was instrumental in developing the Vikas engine that would be used for the first PSLV that India launched. But, Nambi Narayanan, who was falsely implicated in the ISRO spy case, was accused of selling state secrets comprising confidential test data from rocket and satellite launches. He was arrested in December 1994 and charged with espionage. On September 14, the Supreme Court cleared the scientist of charges in the infamous ISRO espionage case and also directed the Kerala state government to pay him Rs 50 lakh as compensation. It was the first time that the Supreme Court erased all the adverse records against him to restore his reputation. The three-judge bench, comprising Chief Justice of India Dipak Misra and Justices AM Khanwilkar and DY Chandrachud, had said, “The criminal law was set in motion without any basis. It was initiated, if one is allowed to say, on some kind of fancy or notion. The liberty and dignity of the appellant which are basic to his human rights were jeopardized as he was taken into custody and, eventually, despite all the glory of the past, he was compelled to face cynical abhorrence,” the judgement read. The bench also said, “If he obtaining factual matrix is adjudged on the aforesaid principles and parameters, there can be no scintilla of doubt that the appellant, a successful scientist having national reputation, has been compelled to undergo immense humiliation. The lackadaisical attitude of the State police to arrest anyone and put him in police custody has made the appellant to suffer the ignominy…The Court cannot lose sight of the wrongful imprisonment, malicious prosecution, the humiliation and the defamation faced by the appellant”. Narayanan (78) was awarded the prestigious Padma award during the Civil Investiture Ceremony at Rashtrapati Bhavan today. The former scientist had played a critical role in the development of Polar Satellite Launch Vehicle (PSLV), Geosynchronous Satellite Launch Vehicle (GSLV) and in the initial phase of making cryogenic engines.